This report explains in detail how to set up an electronic weighing scales manufacturing business unit. An electronic weighing scale is a sophisticated weighing device, installed with a suite of software to record and process the results received while weighing. It is better than a mechanical scale in various ways. An electronic weighing scale can display readings in numerical form, which allows users to read the measurement results quickly. In electronic weighing scales, generally, a signal from the load cell is amplified using an analogue-to-digital converter (ADC). It provides output in digital format for displaying, printing, processing and so on. Almost every industry, including retail, manufacturing, laboratory, jewellery, food processing, healthcare, courier companies and weighbridges, uses electronic weighing scales. In recent years, the market has experienced an increasing trend in weighing scales due to higher accuracy and lower cost of production. Total production in industrial electronic and control instrumentation is showing growth every year. This is because measuring weight using a digital weighing machine is user-friendly and provides a variety of applications. This product requires a good marketing set up. Most importantly, it must be duly backed by after-sales service facilities. The manufacturing process involves assembly of the load cell, electronic circuits and electromechanical hardware. Subsequently, it includes putting together the electronics assembly, including integrated circuits (ICs), transistors, diodes, resistors, capacitors, transformers, coils, relays and potentiometers, on printed circuit boards (PCBs). However, this must be done as per the design. Then comes testing the assembled PCBs (for performance), electronics assembly, electromechanical assembly, and hardware such as connectors/switches and terminals display. Finally, the assembled unit is calibrated and tested as per the design specification. International Organisation of Legal Metrology (OIML) standards R 60 and R 76 are the most widely followed by the manufacturers of load cells. 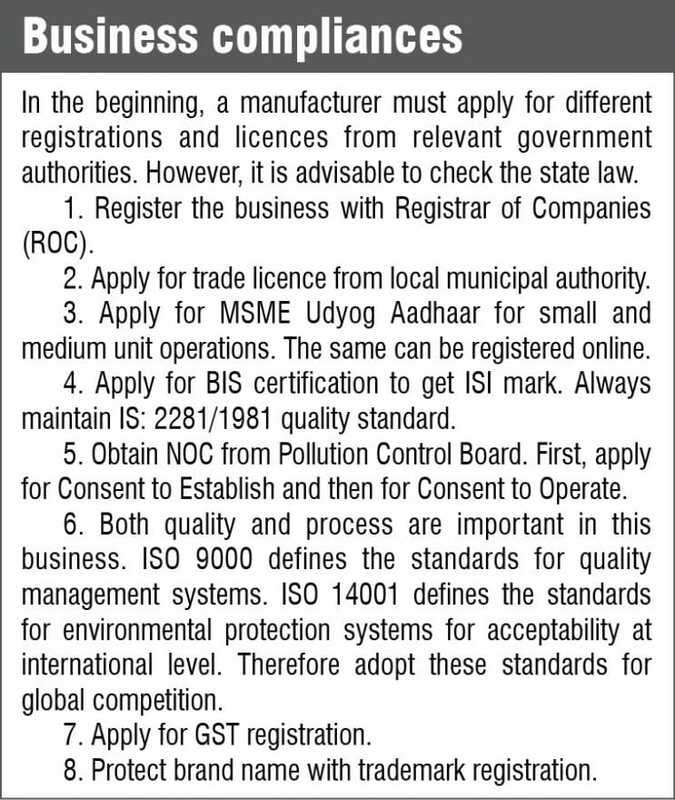 In addition, certification ensures that the products meet international specifications for metrological performance and testing. Fumes and gases are released during hand/wave/dip soldering, which is harmful for people as well as the environment and end products. Alternate technologies may be used to phase out existing polluting technologies. Numerous fluxes have been developed containing two to ten per cent solids, as opposed to the traditional 15 to 35 per cent. The electronics industry uses CFC, carbon tetrachloride and methyl chloroform for cleaning PCBs after assembly to remove flux residues left after soldering, and various kinds of foams for packaging. Many alternative solvents could replace CFC-113 and methyl chloroform in electronics cleaning. Chlorinated solvents such as trichloroethylene, perchloroethylene and methylene chloride are being used as effective cleaners for many years. Organic solvents such as ketones and alcohols are effective in removing both solder fluxes and many polar contaminants. With growing energy needs and shortage coupled with rising costs, a greater thrust in energy efficiency in the industrial sector has been given by the government of India since 1980s. Energy Conservation Act, 2001 was enacted on August 18, 2001. It provides for efficient use of energy, its conservation and capacity building. An electronic weighing system comprises basic load cell, suitable signal conditioners and output recorders/indicators, since both give analogue and digital outputs for further processing. Other materials required are cabinet/housing (metal), capacitors, fluorescent displays, ICs, mechanical hardware, noise filters, rectifiers, PCBs, resistors, transformers, transistors, wires, cable connectors, consumables and packing material, among others. In addition, arrange utilities like water and electricity. Further, a medium- and large-scale unit demands 2000sqm area for operation. Basis for calculation of production capacity has been taken on a single shift of eight hours per day basis on 75 per cent efficiency. Maximum capacity utilisation on single-shift basis for 300 days a year has been considered. During the first and second years of operation, capacity utilisation is 60 and 80 per cent, respectively. 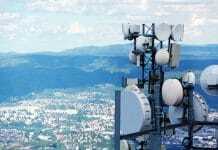 The unit is expected to achieve full capacity utilisation from third year onwards. Salaries and wages, cost of raw materials, utilities, civil construction, etc are based on the prevailing rates in and around north India. These cost factors are likely to vary with time and location. Interest on term loan and working capital loan has been taken at the rate of 16 per cent on average. This rate may vary depending upon the policy of financial institutions/agencies from time to time. Cost of machinery and equipment refer to a particular make or model. Prices are approximate. 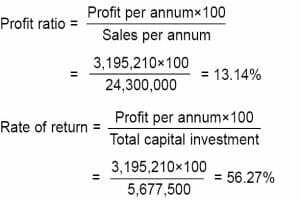 Break-even point percentage indicated is of full capacity utilisation. Project preparation cost, whenever required, can be considered under pre-operative expenses. Essential production machinery and test equipment required for the project have been indicated. The unit may also utilise common test facilities available at Electronics Test and Development Centres (ETDCs) and Electronic Regional Test Laboratories (ERTLs) set up by state governments and STQC, Directorate of Department of Information Technology, Ministry of Communication and Information Technology, to manufacture products conforming to Bureau of Indian Standards (BIS). 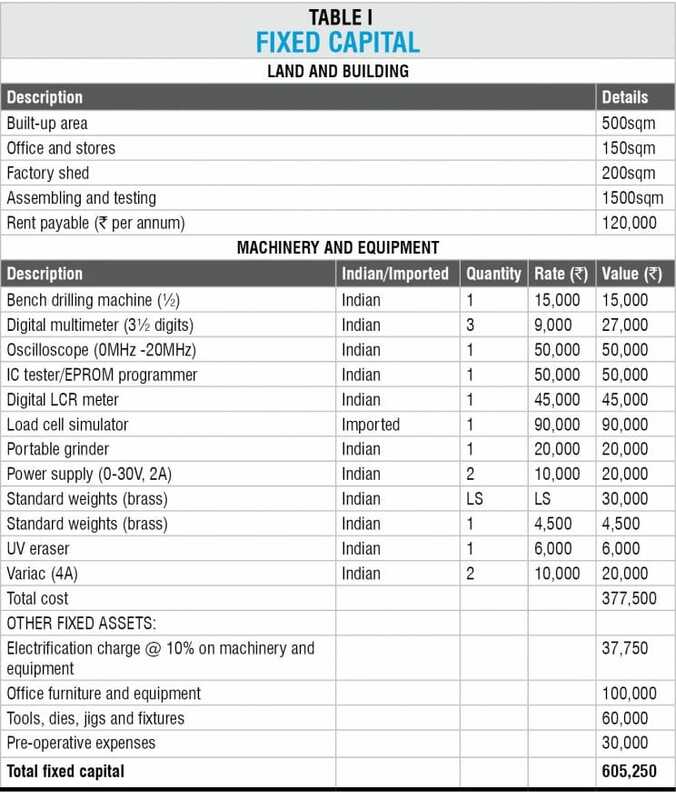 Table I shows fixed capital, that is, land and building, machinery and equipment. 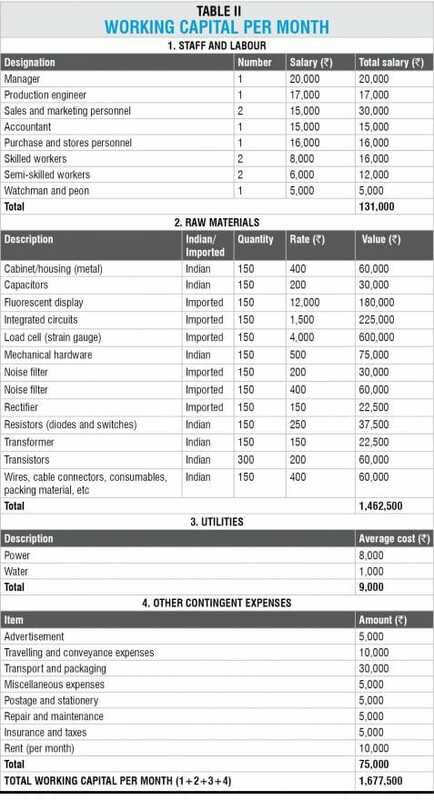 Table II shows the cost of working capital for three months. 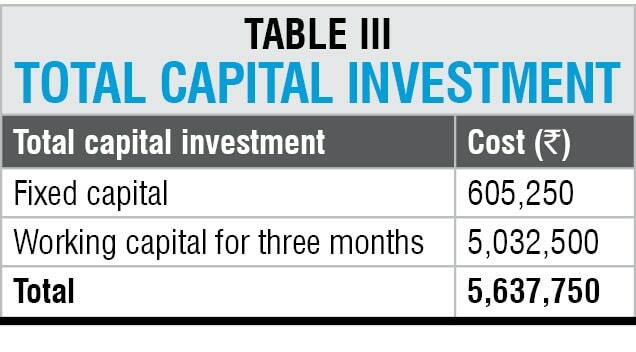 Total capital investment is given in Table III. 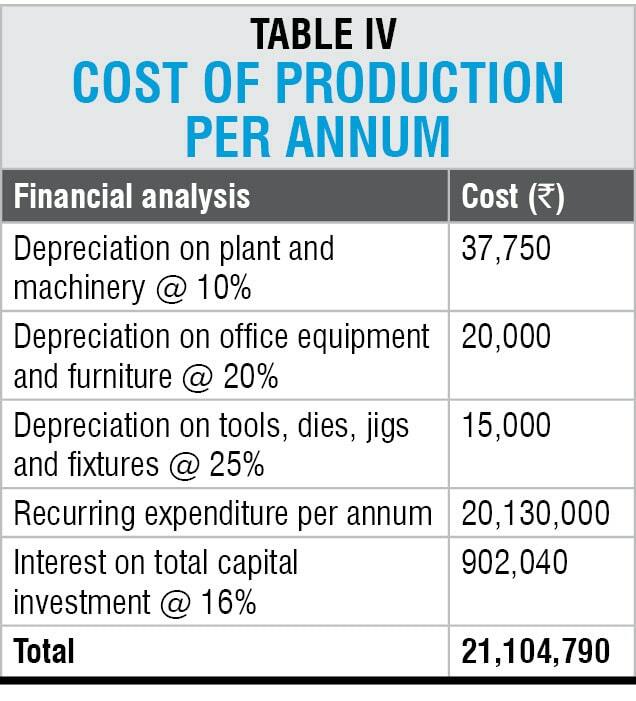 Cost of production per annum is shown in Table IV. 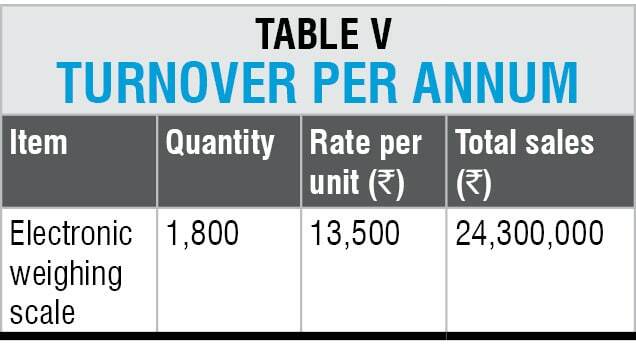 Turn over per annum is indicated in Table V.